Innerwest Painting Service Pty. Ltd. has been painting and decorating its way across Sydney since it was established in 1982. The Innerwest Painting Service is committed to providing a reliable, efficient, flexible, but above all professional painting and decorating service. Customer service is paramount and we pride ourselves on our long established relationship with clients. 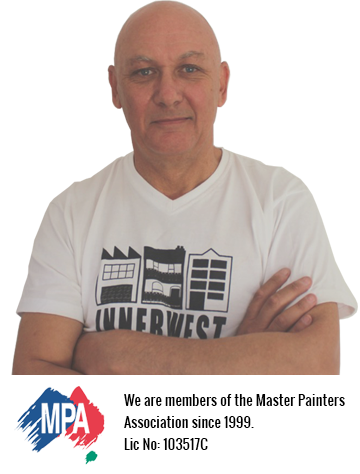 Peter Avery is founder/owner of Innerwest Painting Service Pty. Ltd.
Company employs 10 professional painters. As a professional company, we carry full public liability insurance and workers compensation. Our staff are fully trained in Occupational Health and Safety procedures.